Families living within Chicago Public Schools’ most affluent attendance area have been receiving priority access to highly coveted Montessori pre-K seats at a Lincoln Park magnet school based on their address, rather than need, according to a new report from the district watchdog. 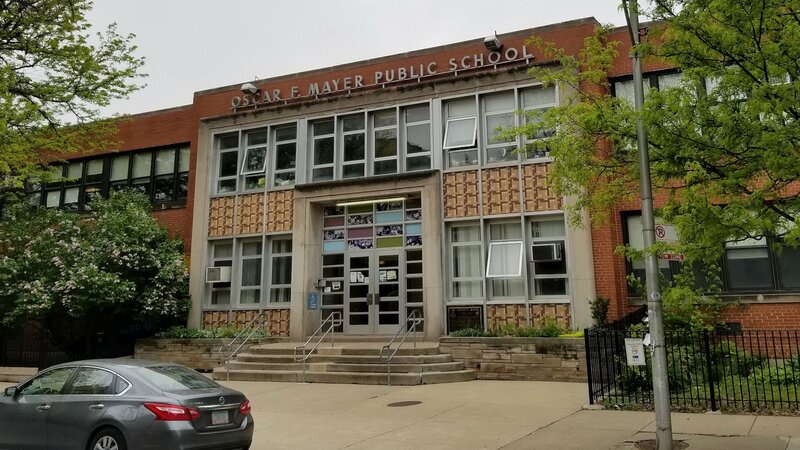 CPS Inspector General Nicholas Schuler released a new report Wednesday recommending the district cease giving families living inside the attendance boundary of Oscar Mayer Magnet special access to the school’s pre-K program. Schuler calls this access a “unique perk” worth more than $30,000 over two years, when compared to other private Montessori programs nearby. CPS typically only awards free pre-K based on family need. But the OIG discovered Mayer families have received preference over out-of-boundary families simply because they reside in the school’s attendance area. Only three other CPS schools offer free pre-K that isn't need-based: Drummond and Suder magnets (which offer two years of free Montessori pre-K) and Inter-American Magnet (offering one year of dual-language pre-K). The difference is that those three each have citywide attendance boundaries and use socioeconomic tiers to select pre-K students based on need. Last fall, every one of Mayer’s pre-K seats were filled by neighborhood children or siblings of existing students, according to the report, while nearly 700 out-of-boundary students sat on socioeconomic tier waitlists. In fact, over the past five years, only four children living outside Mayer’s boundaries (who didn’t already have siblings at the school) were admitted into its pre-K program. “Hundreds of parents residing outside Mayer’s boundary who would like their children to attend Mayer’s free Montessori pre-K are battling an annual admissions process that is stacked against them in a way not encountered by applicants to Suder’s or Drummond’s free citywide Montessori magnet pre-K,” the report states. Eighty-five percent of students at Mayer, a top-rated Level 1-plus school, come from Tier 4, the wealthiest step on the district’s socioeconomic scale. Schuler estimates that percentage will only rise next year when current eighth graders – the only class of students who pre-date the school’s magnet program – graduate and move on. On its own, Mayer’s Montessori program costs the district about $700,000 each year in salaries and benefits. But the OIG found many of the kids who enter this program later leave CPS. Nearly a third of the 3-year-olds who entered that program in 2014 have since moved on to expensive private schools in the suburbs or out of state, according to the report. Mayer transitioned from a neighborhood school to a magnet with Montessori and International Baccalaureate programming in 2008. This was done, according to the OIG, in order to fix building underutilization and reduce “minority group isolation” by increasing white attendance at the school. Since then, the number of white students at the school has skyrocketed, while Hispanic enrollment has leveled off and black enrollment has dropped from about 300 down to just 61 students. The number of Tier 4 students in Mayer’s pre-K program has also steadily risen, from 74 percent in 2011-12 up to 98 percent (63 out of 64 students) this school year. CPS says it plans to study the school’s attendance demographics to determine whether it should halt Mayer’s pre-K funding by 2019-20 or change the school’s attendance boundaries.